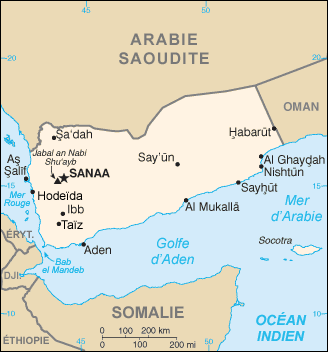 Yemen : When and where to go? In the north and eastern areas you will find a desert climate, very hot and dry. The best times to visit the country are during April/May and September/October, thus avoiding the hot weather in summer and the cold nights of December. There are two weekly flights to Yemen from France and others from some of the major European capitals. A visa is required to enter the territory. The currency in circulation is the riyal. The standards of living in Yemen are quite low so the required budget is also quite low: You can eat for less than €10 per meal, and a double room will cost between €10 and €50 depending on your comfort requirements. In relation to health, it is advisable to have your normal vaccinations up to date, as well as those against typhoid and hepatitis A. Do not drink tap water and avoid salads and raw vegetables. Protect yourself properly from the sun and dehydration. When staying on the coast, pay attention to mosquitoes that can transmit malaria. For transportation within the country, buses and taxis are frequent and affordable. Airlines connect the big cities throughout the country. Here are some examples of items to take home as souvenirs of your trip: Daggers, silver jewellery, straw hats, embroidered fabrics, hookahs, oil lamps, spices, incense and myrrh. It should be noted that at present, the risk of kidnappings and attacks are increasing, the Foreign Office currently advises against travelling to Yemen.